Sounds like Rachael Ray's SXSW party was a hit again this year. Maybe it's just that the food is free, but I swear she's getting some rave reviews! Check out a few different viewpoints on the food (oh, and the music, too) at Rachael's party. I'm looking forward to these recipes showing up in a future issue of Every Day with Rachael Ray (as they have in the past). Have you ever met her or seen her show? I'm thinking about going. Love her! Great page ya have here. Nice page. 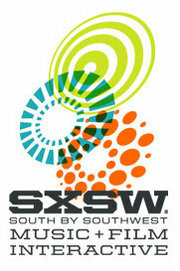 I was at the SXSW party for the third year in a row. The food was indeed awesome as were the bands. But the best part was that Rachael didn't simply stamp her name on a party. She was totally present as a participant. @Vundi - no, I live in CA and she doesn't make it out here too often! @Roxanne - thanks for sharing the info and the link to video. Looks like it was fun!